iSoftBet gains ground this year at London ICE - 3 games in the pipeline! 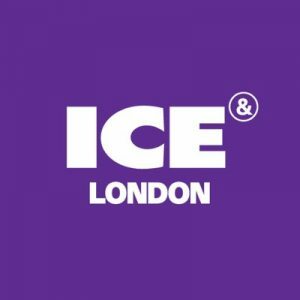 As we all witnessed, this year’s ICE event in London was a huge success! Especially, for iSoftBet (iSB) who drew in massive crowds of curious attendees. With that in mind, iSB showcased a trio of new games that’s going to take the market by storm! Not to mention, they also revealed their new In-Game, cross-platform gamification layer. Which, is iSB’s latest development that features configurable, real-time tools to its series of games, including third-party titles. All this will be available on their Gaming Aggregation Platform shortly as you’ll discover below. Packed with engaging tools to keep all players happy! First, this new cross-platform feature will allow operators across all markets to use the tool to motivate their players. In brief, In-Game allows operators a new way to engage with players by enhancing their overall gaming experience by boosting loyalty. This will include jackpot offers, leaderboards, or cash bonuses and free gameplay. As of now, 50 iSB partners use the GAP platform, and they offer more than 3,000 titles on it too. So this is a huge step forward in innovation. At the same time, iSB partners will now have access to a lot more tools to engage their players. According to iSB CEO Nir Elbaz, “We fully believe In-Game will have a huge impact. It gives players a personalised gaming experience, which in return will boost deposits, play time, and operator revenue”. In addition to all the buzz circulating around In-Game, they also unveiled three new hot games set to launch this year. So be on the lookout for Pinata Fiesta, which is a Mexican-themed slot that allows you to smash open pinatas for bonus rewards! Then there’s the Vegas High Roller slot; this unique casino slot game has the ability to transport a player straight to the legendary Strip. Also, this game features a High Roller Lounge, which is only reserved for the bravest Vegas rollers. Finally, they revealed Merlins Magic Mirror. Here, players can experience an epic adventure of spell-binding magic and tricks as they journey alongside the infamous wizard. 2019 looks to be a great year for iSoftBet and its partners. We can’t wait to check out their new games and tool capability and give you more info on them too!